Because movies about the Lord Jesus Christ are mentioned favorably in the message above, we've added the following three links to remind Christians that it is a sin (a violation of the second commandment) to make any visible representation of God. Jihadists fighting for ISIS (the Islamic State of Iraq and Syria) claim that they are following the commands of Allah and Muhammad. Yet Westernized Muslims, politicians, and the media insist that ISIS is violating the principles of Islam. Who's right? In the following video, I present the top ten Qur'an verses you need to know to understand ISIS. 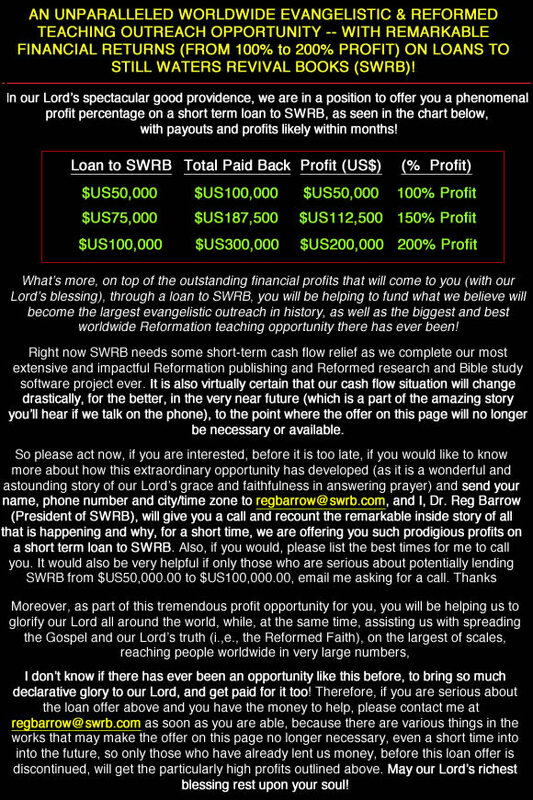 As usual SWRB does not necessarily agree with every point made in every resources to which we link.